Whether you’re an employee relocating to another country or you simply want to improve your language and social skills, we have the language courses and trainers to suit your exact needs. 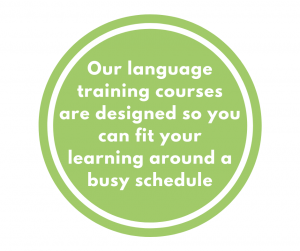 Why choose our language training courses? In our 29 years of providing corporate language courses, we have been able to craft a unique and highly effective approach to language learning. We have developed a global network of native-speaking trainers who are all fully qualified and will make your training relevant, effective, quick and, most importantly, enjoyable. 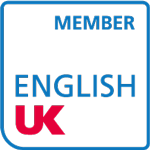 Quality: We are certified to ISO 9001, and our English courses are accredited by the British Council. Flexibility: We offer our training courses globally and are flexible with dates, times and venues. Relevant: Whether you’re a beginner or advanced, we establish your current abilities and your needs and develop a course specification designed with your objectives in mind. Knowledgeable: Not only do we have award-winning methods for corporate language training that have stood the test of time, we also have a team of expert native-speaker trainers at your disposal. For a free discussion of your language training requirements please contact us on +44 (0)118 934 6000 or fill in our contact form.